Improved diagrams with better labeling and clarity. Illustrated clinical anatomy given at the end of each chapter to increase the books utility during clinical years. 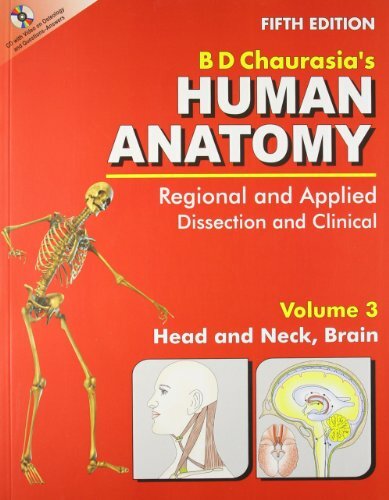 Separate DVD given with each volume containing videos on osteology for better orientation of the bones and interactive section of questions-answers with diagrams for proper preparation for the examinations. Section on Brain has been revised with a chapter exclusively on cranial nerves. The volume contains a brief paragraph at the beginning of each chapter outlines the important features of the chapter. The chapter on bones is profusely illustrated to enhance the clinical importance of osteology. The citations are given in sequence close to the related text. Figures are also given on ossification. To make the volumes practical-oriented steps of dissection are put in distinctive boxes marked Dissection. The lines of skin incision are shown in figures. Figures have also been given for the dissection undertaken. The volumes impart both theoretical as well as practical knowledge to the students. The attachments nerve supply and actions of the muscles are shown in boxes. Testing of a group of muscles are shown with the help of diagrams. The text is supplemented with a number of easily reproducible color diagrams providing a photogenic memory to the reader to complete the various facets of anatomy histology and development of the various organs have been added. Some radiographs ultrasound scans and CT scans have been added to initiate the readers into the realm of radiology and imaging at the end of each section appendix containing full course of the spinal nerves, cranial nerves, autonomic nerves, autonomic ganglia and tables on arteries have been given. Samples of clinic anatomical problems have been inserted to tune the readers about their future clinical years. Multiple choice questions have been increased and incorporated to test the knowledge and skills acquired.